Théorème de Cupidon (Def.) : deux lignes parallèles ne se croisent jamais. Sauf si elles sont faites l’une pour l’autre. …Enfin, c’est ce qu’ils croient. Entre situations pétillantes et rebondissements irrésistibles, une savoureuse comédie romantique à deux voix, l’une féminine, l’autre qui a mué. 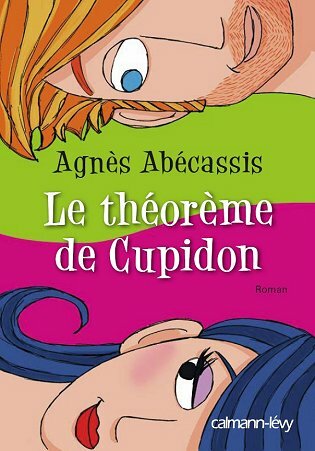 Le théorème de Cupidon – éditions CALMANN-LEVY et LE LIVRE DE POCHE. 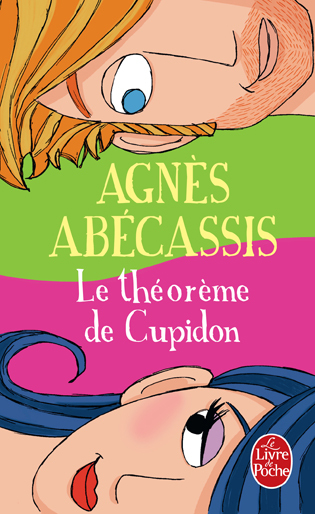 Cupid’s theorem (Def.) : two parallel lines never cross themselves. Unless they are made for each other. Adélaïde is exuberant, direct, funny, but avoids love stories. Phileas is shy, clumsy, too serious, but only wish to meet someone. They have the same age, work both in the cinema, nevertheless, they don’t know each other. …Well, this is what they think. Between sparkling situations and irresistible compelling twists, a delicious romantic comedy in two voices : one feminine, the other one who moulted.